In addition to being regulated by the Fair Debt Collection Practices Act (FDCPA), Montana collection agencies are also regulated by Montana debt collection laws. Discover: Montana collection requirements, bad check laws (NSF), statutes of limitations for both debts and judgments, garnishments plus Montana collection agency license and bonding information. Foreign corporations should register with MT Sec. of State prior to any suit in MT Courts or risk dismissal. 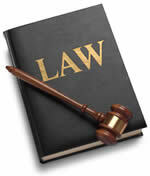 Attorney fees only if provided by a signed written agreement. We could not locate a Montana state statute regulating debt collection agencies. That does not mean one does not exist. Knowing and abiding to the proper Montana debt collection laws is important for both creditors and collection agencies alike. There are debtor’s rights attorneys who are just waiting for creditors or collection agencies to slip up. If you mistakenly violate the Montana debt collection laws, you could create a liability for your business and even open yourself up to a expensive lawsuit. Please note: Montana debt collection laws can change over time, and you need to consult with an attorney before you use this information.